Everyone Has the Right to... | Reimagine! When Roosevelt gave this speech, the depression still lingered on. The official figure for unemployment in California was at 11.7 percent. As it happens, in March 2009, California was once again facing an unemployment rate of over 11 percent, the highest since 1941. 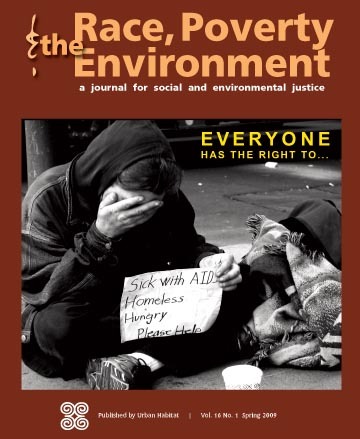 Today, the politics of fear and the ubiquity of want have many calling for a new “New Deal.” In this issue of Race, Poverty and the Environment we take a look at the kind of organizing needed to win social and economic rights for all.